One of the best parts about my job as an events coordinator is that I get to go to at least three cultural events a week, and get paid for it. One of the worst parts is that I can't go to all of the other events that are happening at the same time. Bookstores in New York have a different issue when it comes to author events than stores in most other places. For us, it's not so hard getting good authors to appear; the hard part is competing with the million other great things that are going on at the same time in the same city. Tonight (Wednesday), I'm thrilled to meet Meg Wolitzer as she reads from her new book The Ten-Year Nap -- she's one of our sharpest observers of women's lives and Western culture, and totally funny, too. But if I wasn't at my store, I'd be at Rocketship in Brooklyn for a book party with Jonathan Lethem and Farel Dalrymple for their collaboration on the new Omega The Unknown comics. Two of my favorite creators in one place! -- not fair! But, at the same time, my buddy and fellow entrepreneur David Del Vecchio is inaugerating his BRAND NEW INDIE BOOKSTORE, Idlewild Books, with a reading, discussion and reception for Murat Kurnaz's book, Five Years Of My Life, about his internment in Guantanamo. I can't wait to see David's dream come true, and the book sounds amazing. But lucky you -- YOU get to choose which of these events to attend. 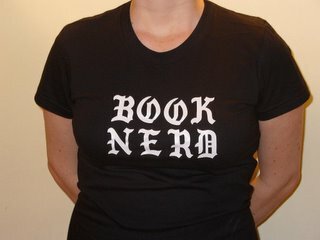 Good luck, and welcome to the trials of book nerd life in New York City! The worst part of being so far from New York is missing out on all the great cultural events. One of the best parts is having more time to read!